Essentially, this is a content war that engages three combatants: (1) experienced Wikipedia editors who have limited or no real-world credentials and therefore hide behind fake pseudonyms, (2) noteworthy and accomplished individuals and corporations who have limited or no experience editing Wikipedia, and (3) paid PR consultants and employees whose Wikipedia-editing talent can range from pristine to sloppy. Lording over it all from a distance, and collecting his five-figure speaking fees from whoever will pay them, is Wikipedia co-founder Jimmy Wales. Last week, a consortium of eleven PR firms announced that they’ll cease directly editing Wikipedia articles about their clients. And yesterday, the Wikimedia Foundation imposed a new policy that forces editors paid for their Wikipedia work to disclose their employer and clientele. But first, a little background on this brewing storm. I am the founder of the first service that offers Wikipedia content management in exchange for payment. I launched MyWikiBiz in July 2006. The following month, Jimmy Wales publicly announced that he had reached a "very favorable agreement" with me and was "very pleased". But only two months later, in October 2006, Wales had flip-flopped, proclaiming that being paid to edit Wikipedia was "unethical," even though Wikipedia itself endorsed (and still does) a "Reward Board" where cash is traded for editing. When two chapters of the Wikimedia movement decided to hold a WikiConference USA in Tribeca at the New York Law School, I registered to attend. I even offered to deliver a free presentation about my experiences with paid editing on Wikipedia. Not only was my talk rejected, eighteen hours before the conference began I received an e-mail from a New York lawyer telling me that I was forbidden to even attend the conference as an observer. No formal reason has ever been given for this censorship, yet the conference was advertised as “open” and welcoming even to those with a “skeptical” point of view. The craziness of whether this constituted a controversy or not was debated for the next couple of weeks on Wikipedia, where thousands of words were typed, many protesting how I had been banned without any cause communicated to me. O’Dwyer PR covered that fiasco here. Hypocrisy at the New York Law School? But the WikiConference USA’s conference director (and secretary of sponsor Wikimedia New York City) is an employee of the New York Law School. Jennifer Baek works as a Legal Fellow at the New York Law School, where she received her Juris Doctor in 2013. When you try to find out more about Anthony Crowell, you might arrive on his biography on Wikipedia. It was authored by Wikipedia editor “Ajuncos." Coincidentally, Andrea Juncos is the communications director of New York Law School. Ajuncos has also edited Wikipedia frequently about New York Law School and about Carole Post, the law school’s chief strategy officer. So, the New York Law School hasn’t been abiding by Wikipedia’s guidelines against editing where one has a topical conflict of interest, has it? When Jimmy Wales was notified of this problem, his pithy and dismissive reply was that he had "no personal comment on the situation," and he implied that the question wasn't a "genuine" one. On Tuesday, June 10, with considerable fanfare several large PR firms issued a joint statement, promising that they will "act in accordance with Wikipedia's policies and guidelines, particularly those related to conflict of interest” and “abide by the Wikimedia Foundation's Terms of Service." Essentially this means that the firms (which included Ogilvy, FleishmanHillard, Burson-Marsteller, Ketchum, Porter Novelli, and Edelman) will shun editing the Wikipedia pages about their clients and only engage other Wikipedia editors on the "Talk" pages of articles, in hopes that one of those pseudonymous "neutral" editors will come along and make the requested changes to article pages. Given the notoriously slow and often dismissive approach that embedded Wikipedians take to assisting PR firms, this new PR pledge bodes a lot of pain and suffering for clients who will just have to sit through long periods of inaccurate information, incomplete data, and even outright defamation residing on their Wikipedia article pages. 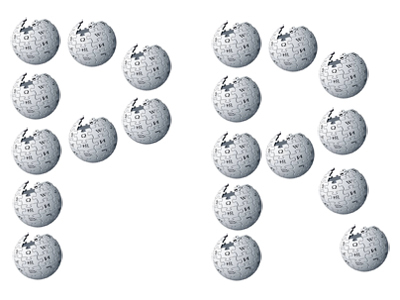 One long-time supporter of Wikipedia, Tim Davenport, said of the PR pledge: "This group of PR companies saying they are going to play by the rules (implicitly under the assumption that the rules will be fair to them) doesn't affect the broad situation. Wikipedia content writing is a growth industry for freelancers... [who] are flying under the radar and have nothing to do with the big PR companies. In short, what one hears about paid editing (that it is banned) is not reflective of the real situation." Of course, even on the first day that this new policy took effect, it was very simple to find various editors who were not complying with the new rules. For example, one gigantic edit was made to the Wikipedia article about the Association of State Green Parties, by Wikipedia user “Mfeinstein”. Is it possible that this is Mike Feinstein, the founding editor of Green Pages, the national newsletter of the Association of State Green Parties? Mfeinstein has issued no disclosure statement, and he's been welcomed on Wikipedia since June 2007, editing with this apparent conflict of interest on most of his topics. A new article about Logan LaHive, the CEO of the Belly loyalty program, was created yesterday by Wikipedia user “AlexandraHuber." Not surprisingly, Alexandra Huber is the PRmanager at Belly. Her new article about LaHive was deleted the next day. The editing becomes all the more amusing when you consider the fact that Gallagher is listed by the Wikimedia Foundation as a donor of between $5,000 and $24,999 to the foundation. And according to the Wikimedia Foundation logs of visitors to their office in San Francisco, in December 2012 and January 2013 three employees of Arthur J. Gallagher visited the Wikimedia Foundation headquarters, with one of them, Cindy Hawley, returning again in October 2013, then again in December 2013. Don't hold your breath for Jimmy Wales to admonish one of his top financial donors. Gregory Kohs is the founder of MyWikiBiz.